Are you in the middle of searching for office cubicles for your business? 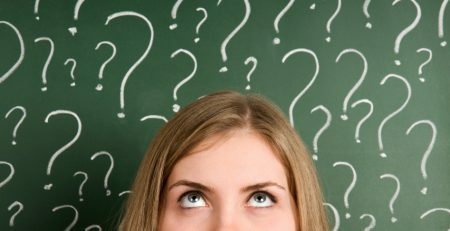 Feeling overwhelmed with all of the available options and features? Don’t worry, you aren’t alone. There are a number of office cubicle options available in the market, the hard part is deciding which brand is the perfect option for your business. Let’s take a look at some of the major brands available today and what features they have available. 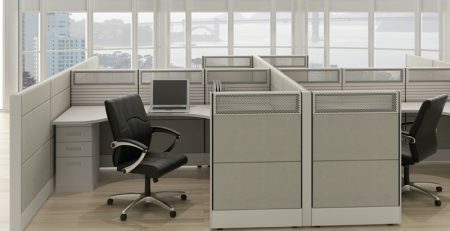 Herman Miller Ethospace, often referred to as the “Cadillac of office cubicles” is one of the top tier office cubicles available. Herman Miller Ethospace is known for its flexibility, durability, customization abilities and more. Ethospace is composed of a thick steel core, with tiles layered on. Ethospace’s durability and customization abilities are nearly unmatched in the office cubicle world. 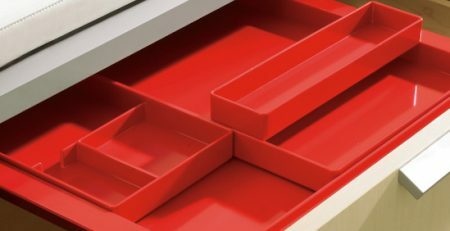 The frame and tile system allows the customer to choose from a countless number of tile options, configurations, storage options and more. If you are looking for a cubicle to last the long haul, look no further than the Herman Miller Ethospace cubicles. A less expensive office cubicle option is the Haworth Premise line of cubicles. The Haworth Premise cubicles are comprised of a frame and monolithic tile system. 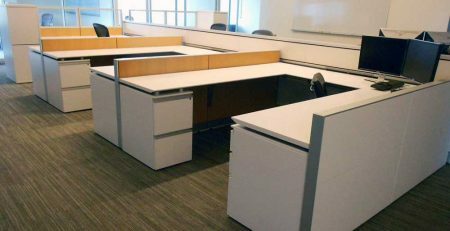 A monolithic tile system means there is one, and sometimes two, tiles per cubicle wall. This is different than Ethospace, Ethospace uses multiple tiles per cubicle wall. Haworth Premise cubicles have beautiful design capabilities that can create a sleek and modern office feel. These office cubicles have a clean look and represent the more modern office. The Haworth Premise cubicles were designed with style in mind, as well as the customer’s bottom line. Knoll Dividend cubicles also have a monolithic tile system that creates a clean, refined look. The Knoll Dividend workstations were designed with style and flexibility in mind. 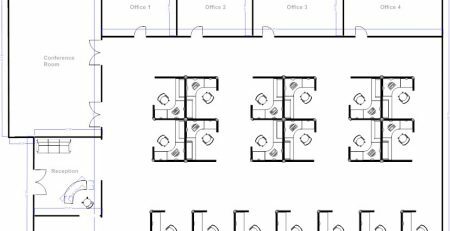 These office cubicles have the ability to be easily reconfigured, which allows for greater flexibility in your business. Priced moderately, the Dividends are a cost effective solution for your office cubicle needs. 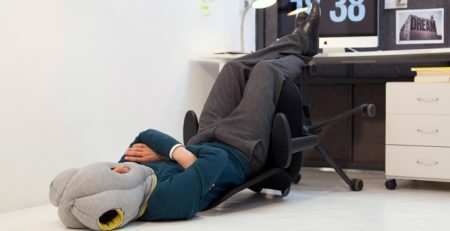 Knoll Dividends are also a great option for creating collaborative workspace, which hare becoming more and more common in today’s work environment.